At the May 16 Board meeting, Aldine ISD Trustees approved the Aldine District of Innovation (DOI) plan. The DOI designation will provide Aldine some of the flexibilities available to state charter schools and give the district more local control. One immediate result will be the closing of four elementary schools, and the repurposing of many more. The 84th Texas Legislature’s House Bill 1842 produced the DOI concept. In October 2016, the AISD Board of Trustees passed a resolution to pursue the plan. In November 2016, Trustees appointed a DOI Committee, which consisted of 47 parents, grandparents, community members and campus and district staff members. A majority of the VEAC and a two-thirds majority of AISD Board members approved the DOI plan. One of the benefits of being a DOI district is more local control over how the district educates Aldine students. The district will continually monitor the plan’s effectiveness and will recommend to the Board any suggested modifications. The plan may be amended, rescinded or revised by the Board during the plan’s five-year term. The DOI plan can be found on the district web site (www.aldineisd.org). Also at the May board meeting, Trustees approved a school closure plan that will take effect at the start of the 2018-19 school year. 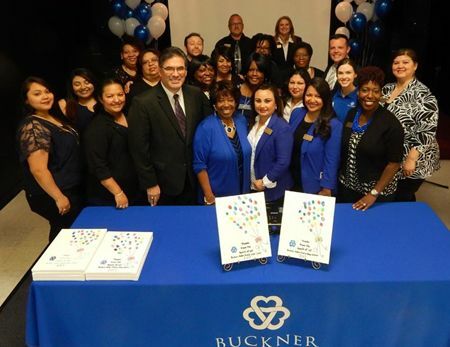 The plan includes the closure and repurposing of Bethune Academy and the relocation of Bethune students to the newly renovated Anderson Academy; the permanent closure of Mendel Elementary School and the relocation of Mendel students to the newly converted Escamilla Elementary School; and the relocation and rebuilding of Francis Elementary School and Johnson Elementary School. The district conducted five community meetings from March 23-May 2 to inform the community of the closure plan. The district received valuable input from parents, staff and the community at each of the four affected schools. The school closure plan is aligned with AISD’s grade reconfiguration and boundary plans that will take effect at the start of the 2018-19 school year. ALDINE – Major changes in the organization of schools in the Aldine school district were presented to an audience of citizens by Superintendent Wanda Bamberg and Deputy Superintendent Archie Blanson. 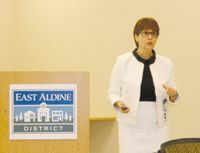 The luncheon meeting was held last Thursday in the offices of the East Aldine District. Bamberg explained that the school trustees had voted in favor of the district becoming a DOI, or District Of Innovation as defined by a new bill from the Texas Legislature, and also to proceed with closing or repurposing four existing schools. The DOI will allow the district to determine more issues at a local level rather than through the state, she explained. These issues include flexible instructional schedules, exemption from class sizes, exemption from a 90% attendance requirement, and allowing an early start date of the school year. For instance this year classes will start one week earlier, on August 21st instead of the state mandated August 28th. Bamberg went into some detail about a “reconfiguration” of the district, covering the structure of school age groups, attendance boundary changes, and the closings, repurposing, and opening of school buildings. The 2015 Bond Referendum provided $798 million to pay for most of these changes, Deputy Superintendent Blanson said. These include 3 new middle schools, 2 new EC/PK/K schools, a new CTE high school, replacement campuses for Johnson and Francis Elementary, and other renovations and upgrades. Bamberg said that four schools would be closed: Bethune Academy, Mendel Elementary, Francis Elementary, and Johnson Elementary. However, Bethune students would be moved to Anderson, Mendel students to Escamilla, and Francis and Johnson students would get a new campus close to US59 north of the beltway. Part of the Reconfiguration plan calls for elimination of all Intermediate Schools. Grades would be reorganized into new or repurposed buildings, as follows: EC/PK/K into one separate building; Elementar grades 1-5 in one building; grades 6-8 together in one building; 9th grade alone; and 10-12 in high schools. Most teachers would be moved around the district, into new buildings that serve their grade levels. Some teachers would move up or down in grade levels. This realignment or Reconfiguration is meant to enhance education and provide students with better contact with their peer levels, and teachers. In addition, the district would have better control in vertical relationships between schools and the district. The so-called “stands” will be simpler and more direct. She illustrated this with charts showing howing lower grades feed into a choice of upper grade schools. By eliminating intermediate schools, students make one less transition in the educational and social journey. Bamberg noted that the new schools being built will be larger than previous campuses, to obtain more efficiency. In turn, elementary schools will be smaller, and attendance zones will be adjusted. Although the district has faced exponential student population growth for many years, Bamberg noted that this school year there was actually a decrease of over 1200 students. She said this was the first time it happened in the last 25 years. It will temporarily affect the budget, with less state reimbursement, but is expected to return to a growth mode in a year or two. Blanson said that most of the building changes, and new buildings, are being paid for with the 2015 Bond money. When voters approved this, it also came with a small increase in taxes. Bamberg said that the regular district budget would also have to increase in coming years, due to the fact that more schools require more instructional and support staff. Bambert said there are other budget considerations that might affect taxes, such as a so-called “voucher” system being considered by the current Legislature. She said if adopted, it would no doubt affect available monies for the Aldine district. The need for replacement of some of the buildings is obvious, Blanson said. The average age of Aldine’s buildings is over 40 years old, and some of them quite old, such as Mendel 63 years old, Johnson 49 years old, and Francis 62 years old. 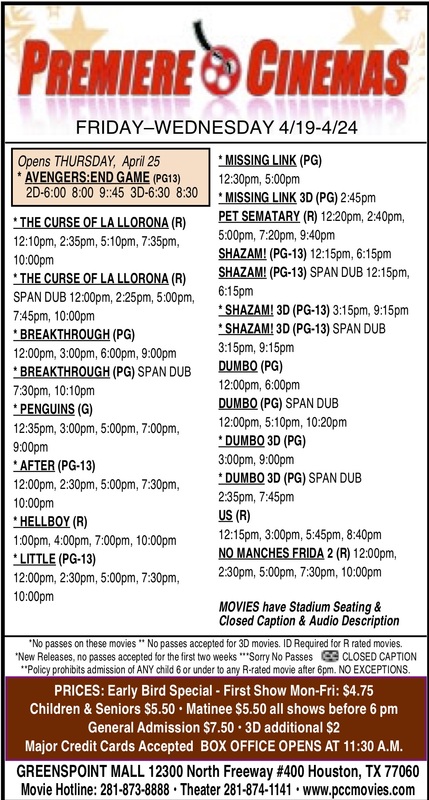 Besides maintenance of older buildings, other considerations are that Mendel is in a floodway, and Francis is not in a safe and secure neighborhood. Students for the new school will be bused from their homes, he said. Voters will get a second chance on May 6 to decide how to pay the state a large sum of money in the School Finance scheme. 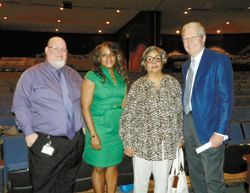 HISD held a Town Hall Meeting on Saturday, April 22 at Forest Brook Middle School to explain the reasons for another vote, and what consequences a FOR or AGAINST vote would have to taxpayers. Early voting started April 24 through May 2, and Election Day is May 6. A sample ballot is at www.harrisvotes.org. HISD voters will be asked on May 6 how the district should pay its Recapture obligation to the state of Texas: by Purchasing Attendance Credits or through Detachment of Commercial Property. As explained by Glenn Reed, HISD Budget & Financial Manager, a vote FOR means purchasing attendance credits by writing a check to the state for local property taxes. Currently the state figures this at $77 million. — The district will continue to make annual recapture payments for the forseeable future. — If our total tax collections continue to grow, they will help offset or reduce these payments. — The district will have more capacity to fund schools. A vote AGAINST purchasing attendance credits means Detachment of the most valuable non-residential, commercial properties from the district’s tax rolls. These properties would be reassigned to other school districts for taxing purposes. — Under current law, those commercial properties would be permanently detached, and the district would lose those tax collections. — The district will face budget cuts and have less capacity to fund schools. Mr. Reed said that under either scenario, the HISD tax rate may increase to keep teacher pay competitive and pay for fixed cost increases. However, he stated, a vote AGAINST purchasing Attendance Credits (Detachment) would results in a higher rax rate over the next two to three years because the District will have less property to tax. Reed explained that the reason for the “Recapture” is because HISD takes in more taxes than the state allows per student, and therefore must residtribute a surplus to property poor districts. The current School Finance law requires an equal wealth level per student in every district. The state reimbursement is currently about $5150 per student, and the legislature is studying raising this to about $5300.